A well grown Foxglove in full flower is a plant of dignity and beauty. The long flowering spikes grow from 3 feet to 6 feet tall, rising high above large clumps of broad, downy leaves. Upon the flowering stalk, the flowers open slowly as the impulse to bloom moves upward. This tends to lengthen the blooming season. The flowers are tubular or bell-shaped and hang closely on one side of the stem so that sometimes four rows try to occupy the same position. This arrangement is more apparent than real, for the flowers really originate on all sides of the stem, but the short stems somehow twist around so that they all seem to be on one side. These spikes which are so tall and erect, bear the small, thimble-like flowers in many colors-white, lilac, purple, rose and yellow-with odd and various shadings and markings. They bloom in .June and July. D. purpurea is the commoner sort and bears purple to white flowers. 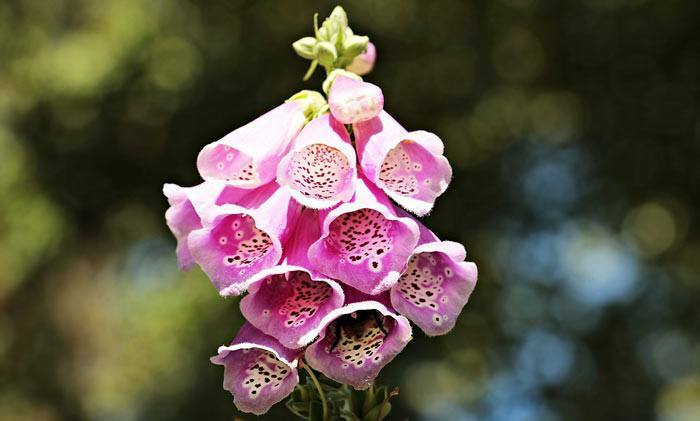 There is, however an interesting form of D. purpurea, known as Monstrosa, or the Mammoth Foxglove, which has a large saucershaped flower surmounting the spike. D. grandiflora (ambigua) is the yellow flowered species. It has smaller, narrower leaves and does not attain the height of D. purpurea. The Wooly Foxglove (D. lanata) is an interesting sort with long, dense spikes of small, grayish flowers marked with yellow. This sort does not resemble the other Foxgloves. Utilize. They are planted in masses in the garden among the shrubs in solid beds, in the border, in the orchard or naturalized on the edge of the woods or along brooks. Wherever they are planted, they give an appearance of strength and dignity. They are excellent for decorations where tall-spiked flowers are needed. Foxgloves are beautifully combined with Sweet Williams and Hardy Grass Pinks. A whole border of this combination is suggested. Foxgloves need no edging plants as their foliage is most attractive, even at the soil. GENERAL. Foxgloves succeed well in any garden soil which has been enriched with old manure. They naturalize very readily in half shaded positions, but will grow in full sunlight if the ground is moist. If the main flowering stem is cut after it has finished blooming, many others will come up. Liquid manure should be given to the plants during the flowering season. They require a light Winter protection, which must not be given however, until after a good freezing of the soil. Dry leaves or pine boughs will serve as a sufficient covering for the foliage. Dampness, either from ill-drained soil or too much mulching, will injure the plants quicker than anything else. The leaves must be kept dry and on mild days plenty of air should be given to prevent sweating and heating. PROPAGATION. Foxgloves are propagated most easily from seeds which should be sown every year in order to have blooming plants the next year. The Foxgloves are treated as biennials. The seed should be sown in late Summer or Fall and wintered over in the coldframe. 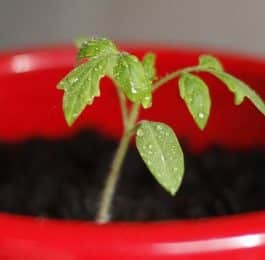 When the plants are once established they should not be disturbed, although new plants can be started by root division.